Impeccably clean and move-in ready! 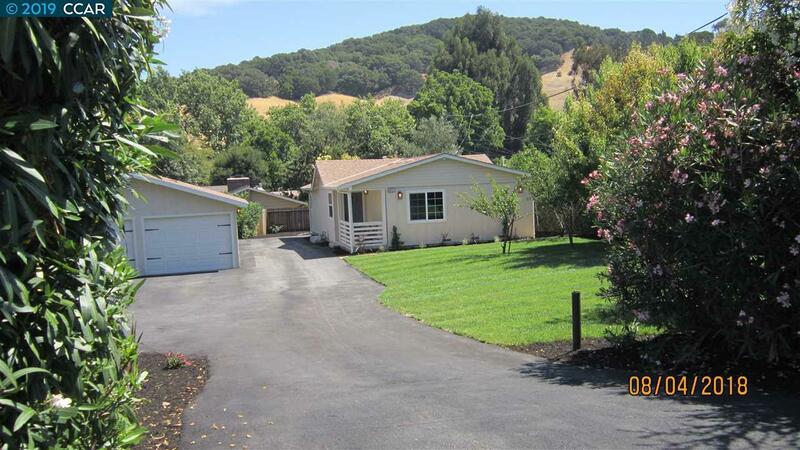 This beautiful home is tucked in tranquil El Sobrante surrounded with hills and trees. Light filled and spacious, home is totally renovated with tasteful design and upgrades. Laminate floors, quartz kitchen counters, and island with drop pendant lights, natural stone mosaic back splash with stainless steel appliances, upgraded bathroom with porcelain tile floor, quartz counter and double sink. Master bedroom with huge walk-in closet, granite counter and ceramic shower wall tile. Sqft on public record shows before addition of master bedroom,bath and laundry room (done with permit) new sqft apx 1260. New roof, well manicured huge front yard with fruit trees, huge long paved driveway with ample space to park boats..etc leads to detached 2 car garage. A must see! Open House Sunday 4/13 & 4/14,4/20 & 4/21 2:00-4:00 pm.